Medication adherence is a win-win for the patient and the pharmacy. A win for the patient. Customers who follow their medication schedules and refill their prescriptions on time are taking care of their health. When a customer has a chronic condition, such as high blood pressure, they should be aware that refilling a prescription is critical to avoiding health complications. A win for the pharmacy. When your customers adhere to their medication regimens, it also helps your pharmacy. That’s because when your customers delay or miss scheduled refills, your pharmacy revenues are affected. Your customer is not receiving the drug, and you are not providing it. One key way for you to support medication adherence is to provide refill reminders. Some form of contact will be made with each patient to remind them that the time to refill has arrived. Of course, the customer will have to be open to receiving these reminders and should be able to provide their preferred contact methods, as in digital or voice. When patients do not contact you for a refill, you may wish to contact them to determine the cause for the delay. Then you can discuss any issues, such as side effects, which might be keeping the customer from staying on a medication regimen. Automatic refill services are another way to ensure that patients stay on a regular medication schedule. Once the auto refill is complete, you can contact the patient to let them know the prescription is ready. Enrollment forms for both your refill reminder and automatic refill programs should be readily available to customers, and technicians should be open to helping customers enroll when needed. Talk to customers about the importance of maintenance medications. Review details of more complex medications. Ask if they have questions about the medication schedule. Offer suggestions that support adherence, such as tips on remembering to take pills. Discuss financial assistance options for high-cost drugs, if available. Make refills convenient with online or app services. Provide prescription delivery or mailing. Medication adherence devices, which are as simple as pill organizers, are probably available right in your pharmacy. You can also let customers know about additional items such as pill alarm timers and automatic dispensers with alerts. A focus on adherence will keep your patients healthier and contribute to regular revenue. Plus, whenever you communicate with patients about their refills, they may be more likely to stick with a regimen. Patients who feel supported by your pharmacy, in terms of staying on a medication schedule, will value your services even more. They will appreciate not being inconvenienced by running out of their medications. Make sure the customer knows that you are also ready to assist with getting authorizations from their prescribers to refill prescriptions or to confirm dosage changes. 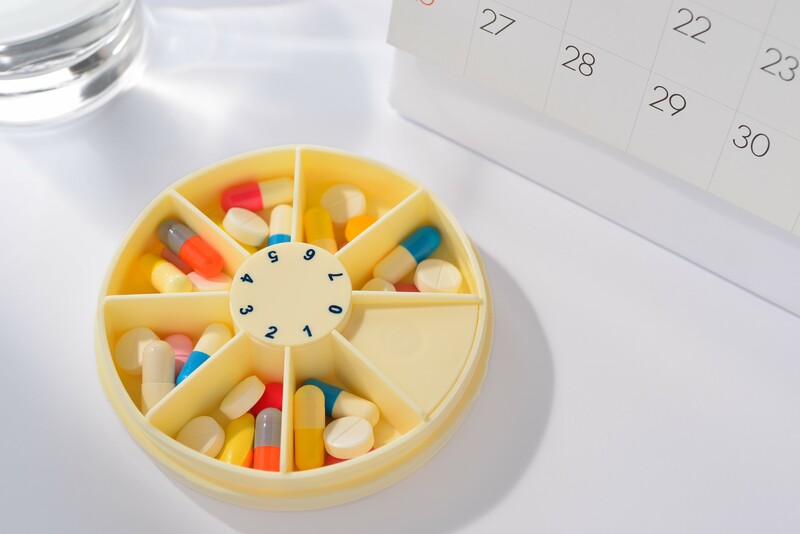 Explain how you can fill their maintenance medications on the same date each month to simplify the refill process. If time allows, consider taking the time to check on customers who have just started a new maintenance drug. Refilling prescriptions should be as simple as possible for customers, so they stay on an appropriate schedule as your pharmacy continues to refill their prescriptions in 2018! Real Value Rx looks forward to assisting pharmacies as they meet customer needs in a new year.